Princess Cruises: View their ships, destinations they visit and activities! Princess Cruises is one of the many brands owned by Carnival Corporation. They are based in Santa Clarita, California but some of their operations are also based in Southampton, UK where other Carnival brands have their headquarters. The fleet consists of eighteen ships with half being made up of Grand-class ships (Like P&O CruisesAzura and Ventura) and the rest over four other classes. 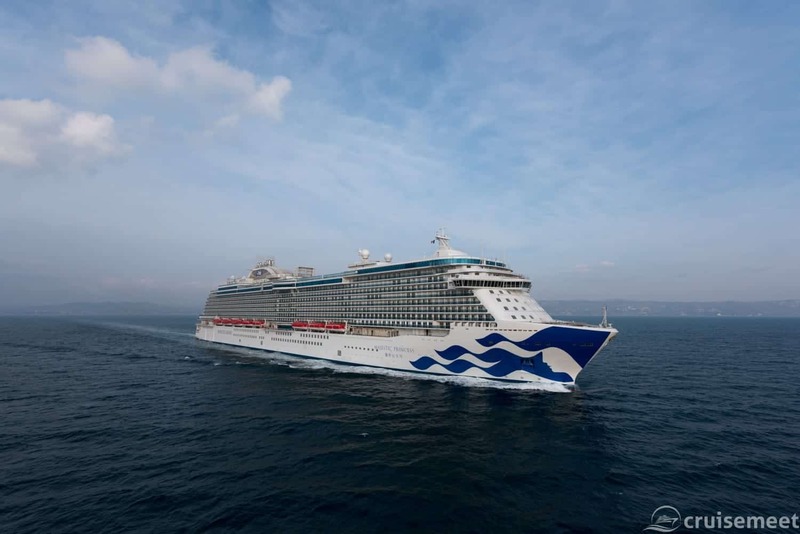 Their latest class is the Royal-class, of which Royal Princess and Regal Princess are from (additionally this class has also recently been used for P&O Cruises Britannia) and a further Royal-class ship, Majestic Princess is currently under construction. Princess Cruises have a combined total of 22,022 staterooms and approximately 44,090 berths available for passengers, making them one of the larger cruise lines in the world (Carnival’s second biggest brand in their portfolio) The cruise line regularly stops at over 300 ports worldwide each year and carries in excess of one million passengers. Popular itineraries for Princess Cruises include calls at six continents – but a strong focus on the American market with regular sailings up the West Coast to Alaska. Two ships are also based in Australia / New Zealand region. Several ships are also usually found on week long scheduled cruises to the Caribbean. Additionally, a number of vessels are based in Europe performing weekly and fortnightly turn-around cruises from Southampton to the West Mediterranean and Northern Europe. Princess Cruises operate a smaller ship (Pacific Princess) which operates much more exotic itineraries as it can fit into smaller ports around the world. The cruise line also owns a private port. Princess Cays is a port and resort wholly owned by Princess Cruises and used for their ships (and sometimes other Carnival brands). The resort is based on the Southern edge of the Eleuthera island in the Caribbean, approximately 50 miles from the popular destination Nassau, Bahamas. Port calls usually last just one day and passengers can engage in many activities such as swimming, kayaking, banana boating, paddle boating, skiing, snorkelling or parasailing! This port is often included on most Princess Cruises itineraries as there are no port fees for the cruise line and customers can enjoy a full Princess Cruises experience without relying on external operators. Princess Cruises also own a small rail tours company: Princess Tours. Acquired in 1986, the company operates ten luxury railcars on the Alaska Railroad with full-service scenic tours of Mount McKinley and can accommodate up to 700 passengers per day. Some packages that Princess Cruises offer include a railtour with a cruise.